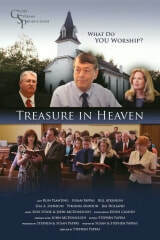 Treasure In Heaven: When a small town pastor confronts a prominent businessman about an adulterous affair, threats and rumors start to fly. Now Rev and his wife have a choice to make: to fear man, or to fear God. I play Jane, and assisted with on set dressing. Following a limited DVD distribution, the movie was released for free via Youtube in early 2016.